The Album Of The Day is "Neptune With Fire" by Ancestors. "Holy kettles of doom! All hail the ascendant heirs to the throne of heaviosity. 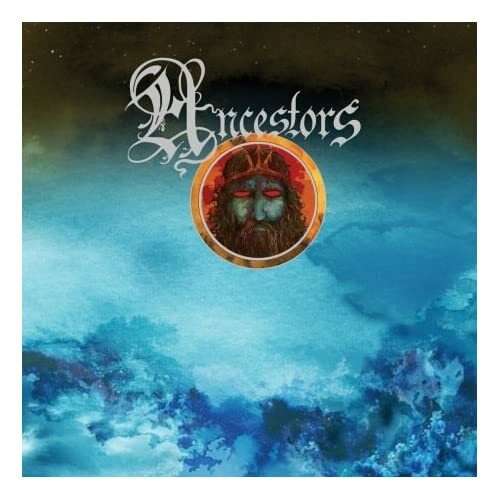 Ancestors debut album is an on-point, meisterwerk of epic, psychedelic lava. White hot and buzzing riffs burrow into your glandular system and explode. You melt into the tidal push of their attack. Just at the point where you finally become one with the sound, a corner is turned and the whole swirling juggernaut floats into the neutral buoyancy of deep space. “Neptune with Fire” is the first outing from this LA band and it’s an appropriate title. The heat here emerges from the depths of a great watery unknown. Masterful hands of restraint guide and push these two epics through several cycles of sound. Applying Joseph Campbell’s framework of myth, “Neptune with Fire” tells the tale of a hero going through stages of; war, celebration, remorse and revelation. While this format might give some a Tolkienesque pause, I’d say wait a bit and examine this cycle within the context of your own life. It’s a human story writ large. Like Beowulf and Grendel or Sir Gawain and the Green Knight, the battle is actually an internal one. It’s the tale about coming of age, facing one’s demons, being shattered by the experience, and then somehow reassembling one’s psyche and moving forward into life. Is this too much to ask from a heavy metal record? I say it isn’t and Ancestors pulls it off with a depth and flourish that transcends their newbie status. The solid playing and excellent production are a testament to the band’s chops and musical knowledge. There are nods on this to everyone from Pentagram to Goblin to Hawkwind. While this history may inform Ancestors approach, this is no retro affair. The tonality and concepts propelling this music make it somehow timeless.